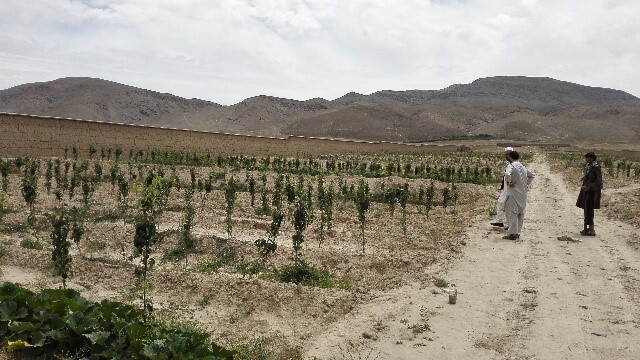 The Afghanistan Business Innovation Fund (ABIF) successfully contributed to poverty reduction in Afghanistan by incentivising private sector investment. The project ran from 2011 to 2015 and was managed by Landell Mills and funded by the UK Department for International Development (DFID) and the Australian Department of Foreign Affairs and Trade (DFAT). ABIF has been able to drive sustainable economic development by collaborating with entrepreneurs through incorporating a ‘Making Markets Work for the Poor’ (M4P) approach within a challenge fund mechanism. The pilot project provided a financial return to grant recipients while also leading to poverty reduction at scale. ABIF recognised that in order to change the income inequality that had been created by donor driven economic growth, private sector investment was needed. At the time, only a few select sectors such as construction and transportation had been developed under donor support, which had benefitted a relatively small amount of Afghans. Other issues facing Afghanistan were declining donor assistance and few foreign investors. Due to 40 years of conflict, few were willing to invest in an insecure and uncertain environment. ABIF was shortlisted for two awards at the British Expertise International Awards, which took place in London on April 11 2016. The two categories were – Outstanding International Development Project in a Fragile State (Non-Infrastructure) and Outstanding International Development Project (Non-Infrastructure). To change the economic situation, Landell Mills designed and implemented a private sector challenge fund. It encouraged the private sector to conceptualise, develop and implement their own innovative pro poor investment projects. The grantees were the vehicle to introduce new goods, services or jobs into the market, and the beneficiaries were Afghans who directly benefitted from investments. The three following overarching principles guided the project: commercial sustainability of grantees’ business investments, the likelihood of their positive impact on target beneficiaries, and the transparency of the award process. ABIF identified sectors where investments would likely have benefits on the largest number of people possible. The sectors chosen were healthcare services, agriculture/horticulture, livestock, carpets, furniture productions/carpentry and mining services. The project chose to engage with existing and established businesses with a high likelihood of success in order to reach a large number of beneficiaries, as well as achieve sustainability and scaling up. The challenge fund was a lengthy process that encouraged applicants to work hard for a grant. They were required to submit investment concepts, then full business plans, pass due diligence reviews, and attend workshops and face-to-face interviews. There were two award rounds and at each stage fewer applicants were selected. This meant ABIF was left with the strongest portfolio of potential investment projects. Overall, 527 concept notes were submitted and 54 were shortlisted. From this shortlist 39 applicants were invited to submit full business plans, and the best 23 were ultimately supported with grant incentives. Throughout the process, ABIF placed a high emphasis on fairness of process and transparency of results. After grants were awarded, grant milestones were paid as businesses achieved pre-set business-related targets. ABIF exceeded expectations and was able to work effectively in a challenging and insecure environment. The provision of an ABIF grant helped grantees obtain commercial or external financing which would have proved difficult otherwise. Grants of £3 million were awarded which generated investments of £7.6 million. Over 280,000 poor Afghans benefitted as producers, workers and consumers. The projects reached beneficiaries with valuable products and services. ABIF improved market access, increased skills and knowledge, and incentivised introduction of new technologies. The sectors with the highest numbers of beneficiaries were agriculture/horticulture, livestock and healthcare services projects. Several of ABIF’s most successful projects source raw materials from a wide geographical area. This is notable as it is often difficult for donor projects to operate in rural areas due to security issues. The highest number of ABIF projects were in the horticulture and livestock sectors. Post-grant support was provided in order for ABIF to add value to and increase the impact of the investments made by grantees. After most investments were underway, ABIF provided grantees with the opportunity to conduct additional activities that would benefit their investment, solidify their impacts or otherwise add value to their business operations. These activities were focused on deepening the likely development impact on beneficiaries, as well as improving business operations and the likelihood of sustainability. Cashmere Fibres International (CFI) is a UK-based company that has been sourcing cashmere from Afghanistan for many years. 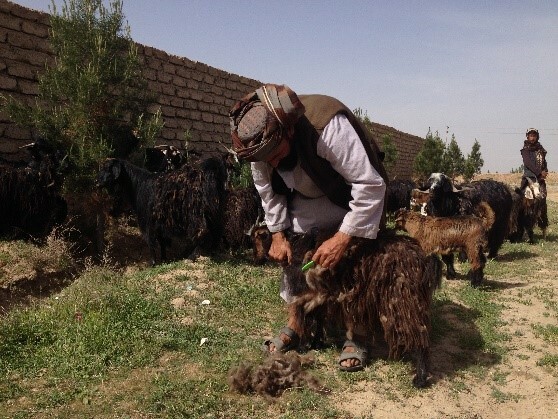 As Afghanistan contains the third largest volume of raw cashmere in the world (behind China and Mongolia), CFI worked with ABIF to invest in a large cashmere processing factory in Herat to increase domestic value-addition in the sector and take advantage of the proximity of raw material, which also increased local market access for herders. After processing the material, CFI exports the fine fibre which is then sold to textile manufacturers, primarily in Europe. The company’s business model entails purchasing only raw cashmere from local suppliers that have already undergone an initial hand-sorting process to separate the material by colour and remove most of the long guard hairs. CFI works with a number of suppliers in western Afghanistan. One of them purchases raw cashmere from a network of more than 150 herders every year. Depending on the season, he employs up to 50 women to sort the cashmere in his collection centre. Between September 2013 and June 2015, CFI purchased more than 75 tonnes of raw cashmere from Afghan suppliers. Herat Ice Cream’s large investment project with ABIF included several key components, which increased market access and incomes for hundreds of small-scale dairy producers and created an estimated 500 jobs through investment in over 1000 new ice cream pushcarts. The company needed to increase its supply of fresh milk to expand production, so it worked with several local aggregators to establish nine milk collection centres. 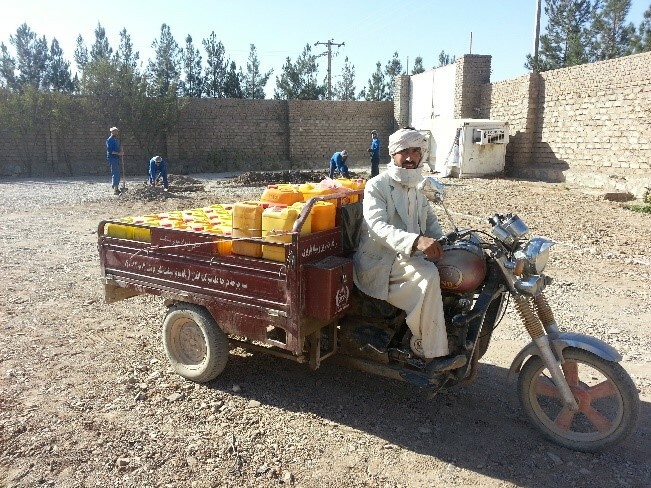 Between February 2014 and June 2015, Herat Ice Cream purchased over $780,000 of raw milk through these nine collection centres, which are supplied by an average of nearly 870 dairy farmers per month. 786 Pharmacies deals primarily with women as consumers of quality pharmaceuticals and hygiene products. The company’s overall business model centres on provision of high-quality, genuine pharmaceutical and hygiene products to customers in a market where counterfeit and low-quality medicines are prevalent. ABIF played a significant role in assisting the pharmacy with necessary investment as well as strategic advice into branding, marketing and customer engagement. As of 2016, the company had served over 175,000 customers, and they were planning to attract a higher percentage of female customers as a result of these activities. As 786 Pharmacies becomes more sophisticated in its administration and marketing, and develops a loyal base of female customers, it is finding ways to provide professional jobs to women. This will also lead to increased numbers of female customers. These commercial efforts are a significant step for a company like 786 which is fast becoming a market leader as the first retail pharmacy chain in Afghanistan, acknowledged by the fact that it has now received private equity investment from a venture capital fund to help further expand its operations. This is one of the first cases of private equity investment by a foreign investment fund in Afghanistan. A series of knowledge briefs, highlighting factors that have contributed to the project’s success as well as challenges faced, were produced by Landell Mills and can be downloaded here. They help feed into the design of other private sector development projects in Afghanistan as well as other fragile and conflict affected states. The topics covered are ‘Challenge Funds in Fragile States’, ‘Women’s Economic Empowerment in Afghanistan’ and ‘Overcoming the Access to Finance Paradox in Afghanistan’. The briefs are also available on the BEAM Exchange.